Panelists shared their considerable insights into how neuroscience is reshaping actions police, lawyers, and judges take when interacting with individuals suffering serious mental health disorders, how neuroscience is reconfiguring the law’s approach to concussion and malingering, and other groundbreaking research occurring in the field. In her welcome remarks, Neuroscience and Law Center Founding Director Deborah W. Denno told conference participants that the event epitomized the rapid development of the shared pursuits of legal and medical professionals to create a more just criminal justice system, and the center’s unique position as a hub for scholars, researchers, practicing lawyers, and judges. Notably, the center is home to the most comprehensive legal database of its kind on neuroscience use in the courtroom. 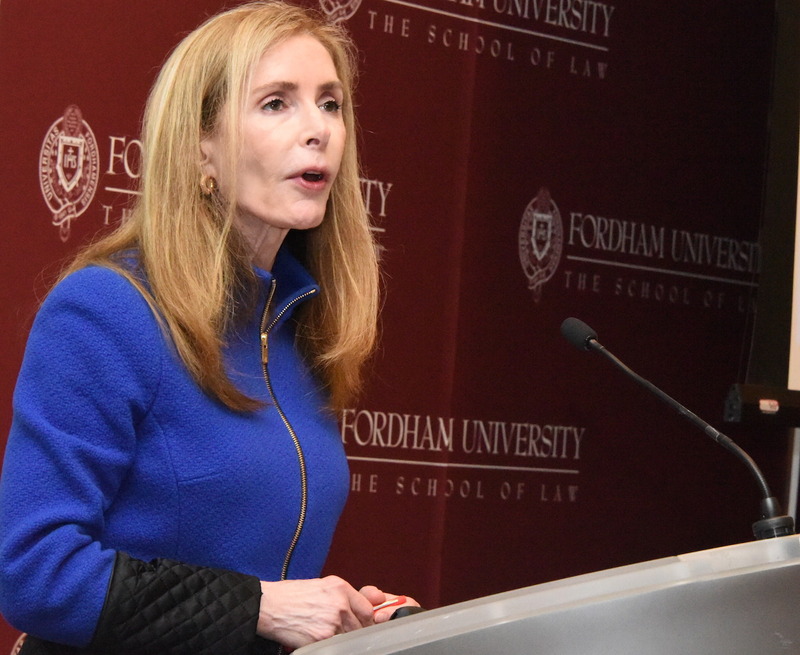 “Fordham’s Neuroscience and Law Center takes an interdisciplinary and evidence-based approach to studying how neuroscience is being used in the legal system and the real world to assess its impact on current decision-making, as well as to anticipate how this information should be used in the future,” Denno explained. In the near future, the center intends to expand its research into how neuroscience intersects and impacts with civil and corporate law, she noted. Denno later outlined her research on 800 criminal cases that have addressed neuroscience evidence over a two-decade period during the day’s second panel, “Creating Groundbreaking Research on Neuroscience and Law.” Moderated by Fordham Law Professor Bruce Green, the panel also featured the insights of the Hon. Bernice B. Donald of the United States Court of Appeals for the Sixth Circuit who discussed implicit bias in the criminal justice system. In addition, Arielle Baskin-Sommers presented her latest research on psychopathy and Tom Tyler discussed the implications of adolescent brain development for both the criminal justice system and for schools. Baskin-Sommers and Tyler are both in the Department of Psychology at Yale University. The opening panel featured presentations by New York County District Attorney Cyrus R. Vance Jr. and New York City Police Department Deputy Commissioner Susan Herman, both of whom detailed how their respective agencies are responding to the needs of individuals with mental illness. 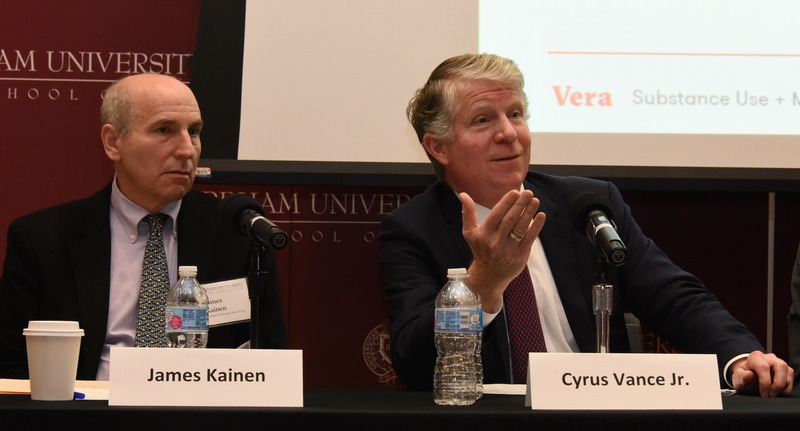 Fordham Law Professor James Kainen moderated the panel. Vance noted that 56 percent of state prisoners nationwide and 60 percent of jail inmates have some mental health problem, adding that often the criminal justice system sends these people to prison without “being responsible enough” to pay for their mental health support in prison, to ensure an increased likelihood of success when they are released. 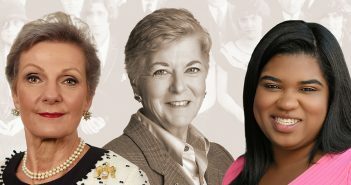 “Mental illness is a big problem in terms of bringing people into our system, and if we want healthy communities and healthy families, we’re going to have to invest money at the local level,” Vance said, emphasizing that local investment is particularly important in 2018 because the federal government is pulling back its support for these programs. To this end, the New York County District Attorney’s Office is investing $250 million over the next five years into crime prevention strategies, including youth hubs that will provide services to neighborhoods that those neighborhoods specifically requested. Neighborhood residents will provide the services, Vance added. The New York Police Department is opening new community health diversion centers in Manhattan and the Bronx this year, Herman shared, to provide support for individuals with mental illness. A police officer must accompany the individual—who has either committed a low-level violation or police believe has a mental health or substance abuse problem—to the diversion center, Herman said. Neuroscience will eventually be used to predict future violent behavior and recidivism—predictions that could lead down a slippery slope, said Leah G. Pope, director of the Vera Institute of Justice’s Substance Use and Mental Health Program, during comments made during the first panel. On the other hand, neuroscience could also provide “great value” in shedding light on the impact conditions of confinement have on the brain and also rehabilitation possibilities for individuals with serious mental illnesses, Pope continued. The conference concluded with afternoon panels on “The Challenge of Malingering: Symptoms Real, Imagined, and Pretended,” moderated by Fordham Law Professor Kimani Paul-Emile, and “Reconceptualizing Concussion in Law: The Increasing Influence of Neuroscience,” moderated by Fordham Law Professor Clare Huntington.